Smooth mustards, which are normally made from finely ground mustard powder (“mustard flour”). Coarse grain or whole grain mustards, which, as the name suggests, consist of partially ground or unmilled mustard seed. In each case, the mustard would contain vinegar, water or a mixture of the two. A number of other ingredients may be added, including sugar, salt and various flavours such as honey, herbs, spices and colouring such as turmeric. Some products also contain antioxidants and an acidity regulator e.g. citric acid. The starches contained in the mustard seed provide the desired thickening effect, however some recipes may contain additional thickening agents such as wheat flour. The manufacturing process varies according to the type of mustard being produced. A smooth mustard is produced by dispersing mustard flour and other ingredients into water, or a mixture of water and vinegar, and mixing until homogeneous. Coarse grain mustard can be manufactured in several stages. The mustard seed would first be either pre-soaked in the vinegar (typically overnight) or pre-mixed with other dry ingredients before being added to the vinegar. The product is then ground (traditionally in stone mills) to the required consistency. Coarse grain mustards can also be produced by disintegrating mustard seed into a finished smooth mustard to give a textured product. When dispersing mustard flour into water/vinegar, agglomerates can easily form. Agitators do not produce sufficient shear to rapidly break these down. Maximising the thickening effect of the mustard (and other thickening additives, where used) is difficult to achieve using traditional methods. Powder addition must be carried out at a controlled rate to reduce agglomerates. Long mixing times are required to complete dispersion/hydration. Stone milling is a slow process. Mustard seed would normally require pre-milling to break it down before being added to a finished smooth mustard, as an agitator cannot disintegrate the seed. 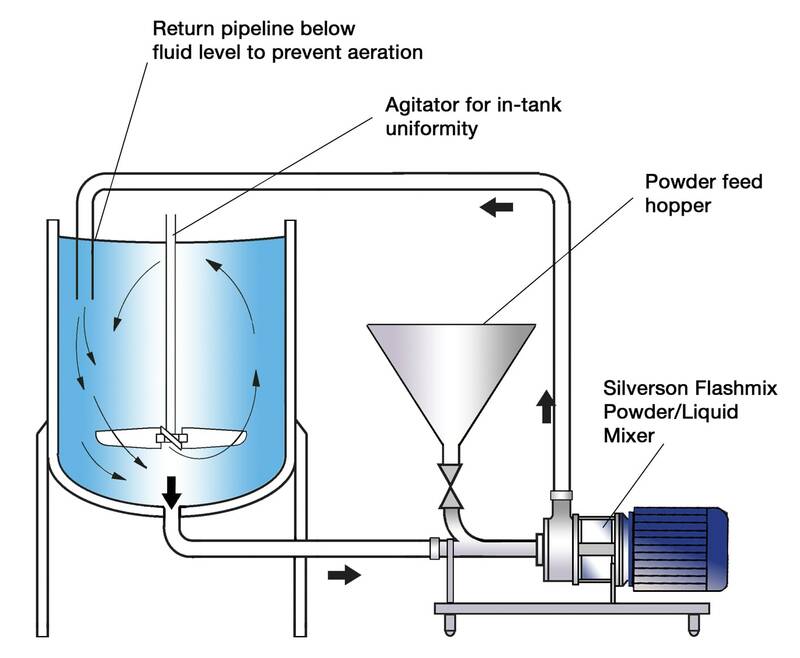 The high speed rotation of the rotor creates a powerful suction which draws the liquid and solid/powdered ingredients into the mixing zone. The materials are then subjected to intense shear in the confined area of the workhead. Mustard seed and any agglomerates in the powdered ingredients are broken down in the gap between the rotor blades and stator wall. 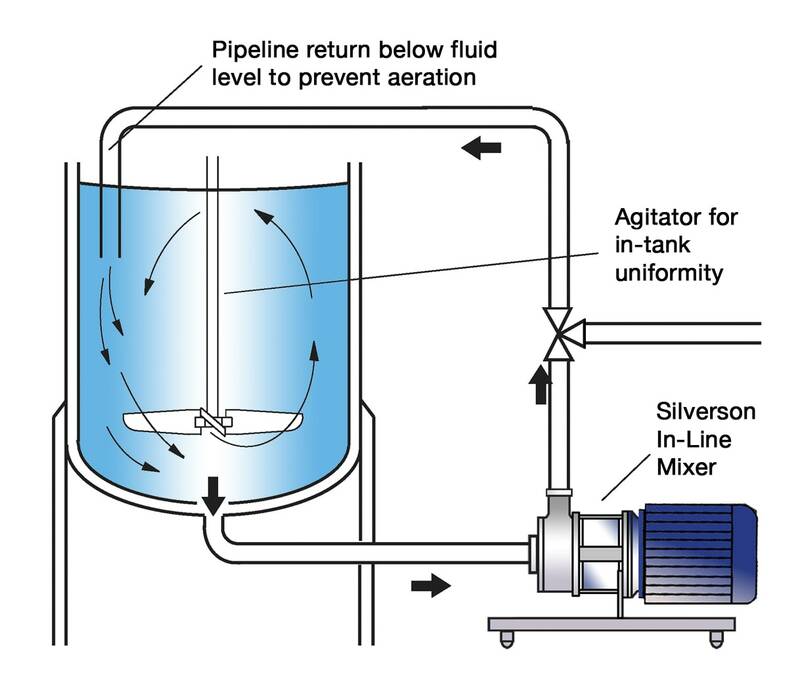 The product is forced out of the stator and projected radially back into the mix. Simultaneously, fresh material is drawn into the workhead, setting up a circulatory mixing pattern which progressively reduces particle size. 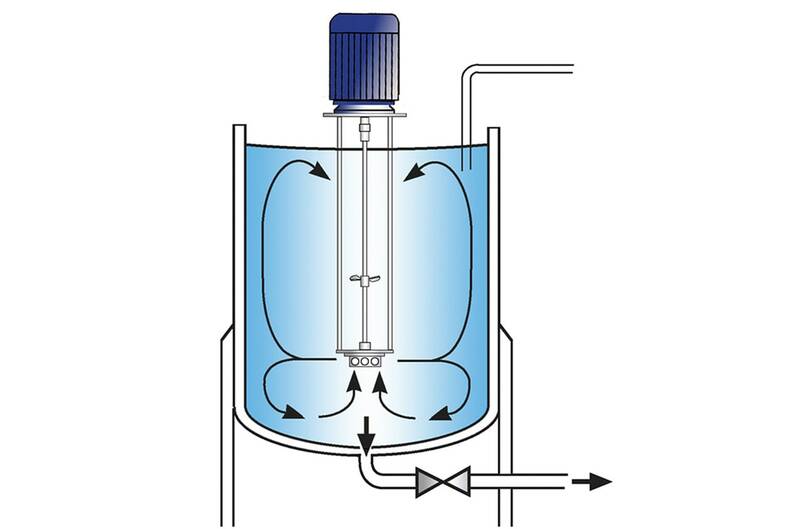 In a short mixing cycle all the material passes through the workhead, ensuring a uniform product is obtained. Varying degrees of particle size reduction can be obtained as required by selection of the appropriate workhead or stator screen. Pre-processing the mustard with a Silverson prior to milling provides an optimum pre-mix which the conventional mill will process at a much faster rate, reducing the number of passes required.